It’s nice to know with everything going on in the world today that we can at least agree on one thing– a day dedicated to drinking Champagne! Friday, October 19th, was International Champagne Day and around the world, from Ibiza to Ghana to right here in Redwood City, people raised a glass and shared some bubbly. At K&L, we hosted Enguerrand Baijot, owner of Lanson Champagne in our Redwood City store for a special ‘Champagne Friday’ tasting. Baijot poured six of his wines, ranging from the “Black label” Brut to the venerated 2007 “Clos Lanson” and several excellent wines in between. 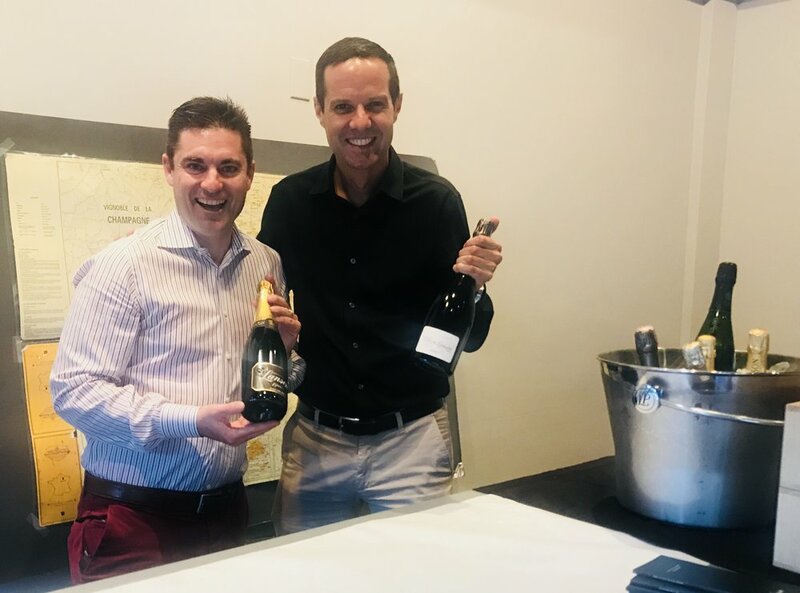 We were also fortunate to be able to taste the Green Label Brut, Lanson’s new organic Champagne that has yet to be released in the U.S. market. Baijot led guests through the tasting, explaining the distinctive style of Lanson, the history of the property and the winemaking choices for each of the wines. Originally founded in 1760 by François Delamotte, Lanson has remained family-owned (though with multiple owners) through the generations. The Champagnes are made primarily with Pinot Noir grapes and, in order to preserve the acidity and maintain vibrant varietal expression, they never undergo malolactic. 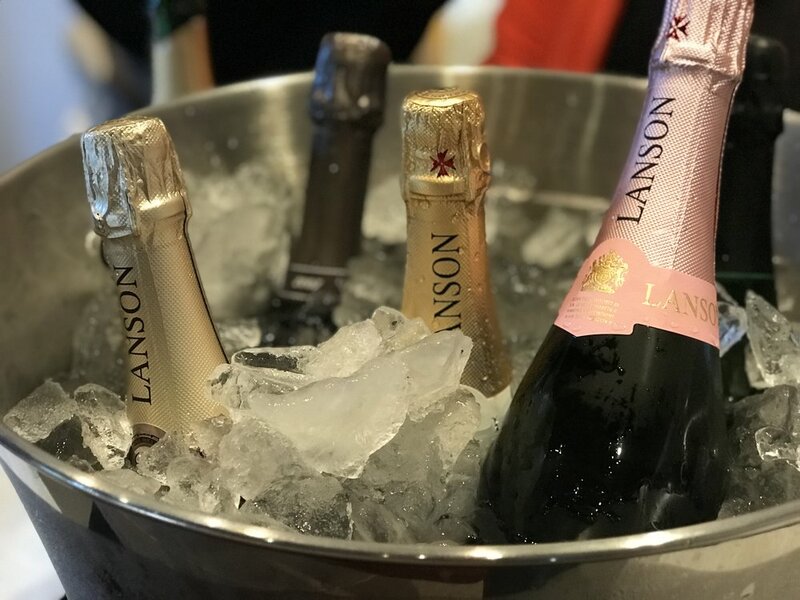 Lanson also ages their wines longer than average, both with their non-vintage and vintage wines, which creates amazing complexity and depth in their Champagnes. It was the absolute perfect way to spend International Champagne Day, with a large crowd, fantastic Champagnes, and a charming Baijot and his interesting stories. If you missed it and you’re looking for more opportunities to drink Champagne and meet the people behind the wines, join us at our Champagne Tent event this Saturday. There are still tickets left for our Hollywood tasting. See our events page for more details.